He primarily challenges my reinterpretation of the 110,000 claimed annual layers in the GISP2 ice core from the top of the Greenland Ice Sheet to the depth of 2,800 metres and defends the extensive timeframe, claiming independent corroboration by multiple methods. I will show that these methods are not independent and open to significant reinterpretation. The root of the problem is the uncritical acceptance of the uniformitarian paradigm. In my articles on ice cores, I reinterpreted the annual layers in the middle and lower portions of the GISP2 core as subannual layers, based on a Flood–Ice Age model, incorporating warm oceans, cooling continents and high levels of atmospheric particulates from volcanic activity.2,3,4 Thus, my starting assumptions assume significant climate instability post-Flood and rapid accumulation of snow and ice. In this scenario, annual ice layers would be on the order of metres. On the other hand, uniformitarians start with an assumption of great age, generally stable conditions and Milankovitch orbital cycles to create ice ages. As a result, uniformitarians are looking for very thin annual layers on the order of centimetres and even millimetres near the bottom of the ice sheet. The resulting difference in age-interpretation is a result of the starting paradigm; the data is the same and does not speak for itself. What we believe colours what we see. In other words, the counted annual layers can deviate a little from the first guess, but the first guess constrains the limits of variability. It is like numerical analysis in which a first guess is required to begin and then successive computer iterations change the first guess somewhat to arrive at hopefully the correct answer. For instance, if the first guess concludes that the annual layer thickness at the 2,500-metre depth is around 1 centimetre, annual layer counting will not allow an annual layer thickness of 5 centimetres, let alone about 3 metres as in the creationist model. The variability in the measured parameters and the impact of non-periodic events provide adequate scope to find a preferred fit to the data. In contrast, in a creationist model, the annual layers in the middle and lower portion of the GISP2 ice core would be subannual layers due to sub-storm, storm or other cycles of weather lasting anywhere from days to months. The senior author then went back to the laboratory to ‘recheck’ the visible stratigraphy or dust layers. She discovered that by using a 1-mm wide laser beam in the LLS method instead of an 8-mm wide beam, 25,000 more annual layers of dust were ‘discovered’ between 2,300 and 2,800 metres! One must be especially careful when evolutionary/uniformitarian scientists claim ‘agreement’ between two or more ‘independent’ dating methods and/or data sets. Seely claims that dust variations are primarily seasonal, so that every dust band, whether counted visually or by LLS, are evidence for annual layers. Such dust bands are mainly responsible for the counting of annual layers from around 12,000 years to 110,000 years and even older in the uniformitarian timescale of the GISP2 ice core. Although dust bands are generally annual today, this does not mean they were annual in the past. The period between 12,000 and 110,000 years would correspond to the Ice Age—a very dusty period with a unique climate. In the compressed Creation/Flood model with much thicker annual layers during the Ice Age, the dust represents an extremely dusty atmosphere, especially near glacial maximum and during deglaciation. Storms would be very dirty and multiple bands of dust could be deposited on the ice sheet by several mechanisms, such as by dry deposition between storms or during showery periods in one storm. In a high snowfall model, such as the Creation/Flood model, one can find oscillations in dust at almost any frequency, which is demonstrated when Meese and colleagues found 25,000 more annual dust layers using a finer analysis! Seely seems to think that the formation of nitric acid that is picked up by the ECM (electric conductivity method) shows well-behaved seasonal oscillations with a summer maximum. This is only generally true today and the past would be different. Seely assumes that only nitric acid is significant; however ECM also picks up other acids including sulfuric acid. Furthermore, acidity can rarely be applied to the glacial portion of the Greenland ice cores because the significant quantity of dust neutralizes the acid, except in short, dust-free sections. If one starts with the uniformitarian paradigm, it is easy to see how the various methods appear to be corroborating. However, when one steps back and questions the unspoken starting assumptions and allows the parameters to vary by the full range available, completely different consistent results can be obtained. This shows the importance of where we start. The Bible claims to be a reliable historical record and this history from the very beginning was attested to by Christ and the Apostles. Thus, it is a logical starting position from which to create our worldview. On the other hand, belief in deep time may be internally reinforcing, but has no external reference point. Either must be accepted by faith, only one will be right. It is unfortunate that Seely and others in the American Scientific Affiliation accept man’s fallible, continually changing stories about the past rather than God’s clear Word. I thank Ashby Camp for informing me about Seely’s article and Dr Larry Vardiman of the Institute for Creation Research for sending me a copy of the Seely article and for reviewing this article. 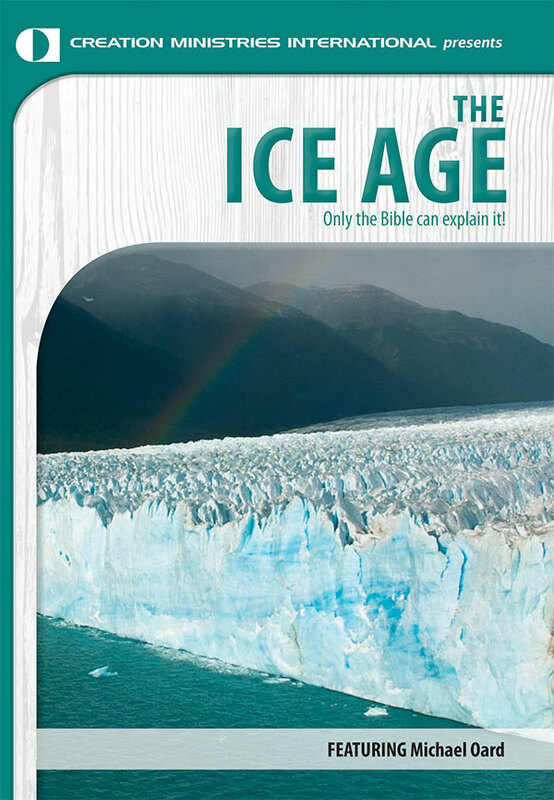 Seely, P.H., The GISP2 ice core: ultimate proof that Noah’s Flood was not global, Perspectives on Science and Christian Faith 55(4):252–260, 2003. Return to text. Oard, M.J., Wild ice-core interpretations by uniformitarian scientists, TJ 16(1):46–47, 2002. Return to text. Oard, M.J., Do Greenland ice cores show over one hundred thousand years of annual layers? 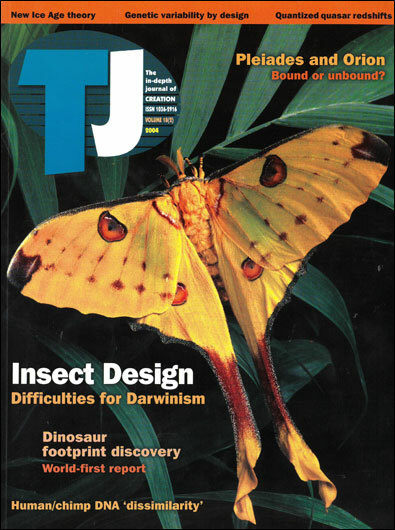 TJ 15(3):39–42, 2001. Return to text. Oard, M.J., Are polar ice sheets only 4500 years old? Acts and Facts Impact #361, ICR, Santee, California, 32(7):i–iv, 2003. Return to text. Seely, ref. 1 , p. 252. Return to text. Oard, M.J., Ice ages: the mystery solved? Part I: the inadequacy of a uniformitarian ice age, CRSQ 21(2):66–76, 1984. Return to text. Oard, M.J., Ice ages: the mystery solved? Part II: the manipulation of deep-sea cores, CRSQ 21(3):125–137, 1984. Return to text. Oard, M.J., Ice ages: the mystery solved? Part III: paleomagnetic stratigraphy and data manipulation, CRSQ 21(4):170–181, 1985. Return to text. Oard, M.J., An Ice Age Caused by the Genesis Flood, ICR, El Cajon, CA, pp. 15–18, 1990. Return to text. Vardiman, L., Sea-Floor Sediments and the Age of the Earth, ICR, El Cajon, California, 1996. Return to text. Seely, ref. 1 , p. 256. Return to text. Oard, ref. 3 , p. 41. Return to text. Meese, D.A., Gow, A.J., Alley, R.B., Zielinski, G.A., Grootes, P.M., Ram, M., Taylor, K.C., Mayewski, P.A. and Bolzan, J.F., The Greenland Ice Sheet Project 2 depth-age scale: methods and results, Journal of Geophysical Research, 102(C12):26,417, 1997. Return to text. Vardiman, L., Ice Cores and the Age of the Earth, ICR, El Cajon, California, 1993. Return to text. Vardiman, L., Climates Before and After the Genesis Flood, ICR, El Cajon, California, 2001. Return to text. Oard, M.J., The Greenland and Antarctic Ice Sheets: A Remnant of a Post-Flood Rapid Ice Age, ICR monograph (in press), 2004. Return to text. Alley, R.B. et al., Visual-stratigraphic dating of the GISP2 ice core: basis, reproducibility, and application, Journal of Geophysical Research 102(C12):26,367–26,381, 1997. Return to text. Sturm, M. and Benson, C.S., Vapor transport, grain growth and depth-hoar development in the subarctic snow, Journal of Glaciology 43(143):42–59, 1997. Return to text. Alley, R.B., Saltzman, E.S., Cuffey, K.M. and Fitzpatric, J.J., Summertime formation of depth hoar in central Greenland, Geophysical Research Letters 17(12):2393–2396, 1990. Return to text. Shuman, C.A. and Alley, R.B., Spatial and temporal characterization of hoar formation in central Greenland using SSM/I brightness temperatures, Geophysical Research Letters 20(23):2643–2646, 1993. Return to text. Shuman, C.A., Alley, R.B. and Anandakrishnan, S., Characterization of a hoar-development episode using SSM/I brightness temperatures in the vicinity of the GISP2 site, Greenland, Annals of Glaciology 17:183–188, 1993. Return to text. Shuman, C.A. et al., Detection and monitoring of stratigraphic markers and temperature trends at the Greenland Ice Sheet Project 2 using passive-microwave remote-sensing data, Journal of Geophysical Research 102(C12):26,877–26,886, 1997. Return to text. Alley, R.B., Concerning the deposition and diagenesis of strata in polar firn, Journal of Glaciology 34(118):283–290, 1988. Return to text. Alley, R.B. and Koci, B.R., Ice-core analysis at Site A, Greenland: preliminary results, Annals of Glaciology 10:1–4, 1988. Return to text. Alley et al., ref. 19 , p. 2393. Return to text. Alley et al., ref. 17 , p. 26,368. Return to text. Alley et al., ref. 17 , p. 26,378. Return to text. Clausen, H.B. et al., A comparison of the volcanic records over the past 4,000 years from the Greenland Ice Core Project and Dye 3 Greenland ice cores, Journal of Geophysical Research 102(C12):26,707–26,723, 1997. Return to text. Zielinski, G.A. et al., Record of volcanism since 7,000 BC from the GISP2 Greenland ice core and implications for the volcano-climate system, Science 264:948–952, 1994. Return to text. Grönvold, K. et al., Ash layers from Iceland in the Greenland GRIP ice core correlated with oceanic and land sediments, Earth and Planetary Science Letters 135:149–155, 1995. Return to text. Meese et al., ref. 12, p. 26,413. Return to text. Cole-Dai, J., Mosley-Thompson, E., Wight, S.P. and Thompson, L.G., A 4,100-year record of explosive volcanism from an East Antarctica ice core, Journal of Geophysical Research 105(D19): 24,431–24,441, 2000. Return to text. Basile, I., Petit, J.R., Touron, S., Grousset, F.E. and Barkov, N., Volcanic layers in Antarctic (Vostok) ice cores: source identification and atmospheric implications, Journal of Geophysical Research 106(D23):31,915–31,931, 2001. Return to text. Legrand, M. and Mayewski, P., Glaciochemistry of polar ice cores: a review, Reviews of Geophysics 35(3):219–243, 1997. Return to text. Curran, M.A.J., van Ommen, T.D. and Morgan, V., Seasonal characteristics of the major ions in the high-accumulation Dome Summit South ice core, Law Dome, Antarctica, Annals of Glaciology 27:389, 1998. Also see Röthlisberger, R., et al., Nitrate in Greenland and Antarctic ice cores: a detailed description of post-depositional processes, Annals of Glaciology 35:209–216, 2002. Return to text. Wolff, E.W., Nitrate in polar ice; in: Delmas, R.J. (Ed. ), Ice Core Studies of Global Biogeochemical Cycles, Springer, New York, pp. 195–224, 1995. Return to text.